When the tiny beasts in our pockets are getting advanced at the speed of light, the smartphone batteries are falling behind to cater the needs throughout the day. While researches are always going on to address this issue, by introducing solid electrolytes in batteries, and what not, the problem is not yet addressed completely. But technology always has some solution, even if that isn’t the ultimate one. 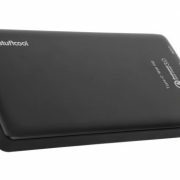 Talking about smartphone batteries, we can always use a power bank to juice the batteries up in the middle of the day, when there isn’t any power outlet available nearby. When there are hundreds of power banks brands and their models are available in the market, choosing the best one for your requirement might not be a piece of the pie. But it isn’t that tough as well. Even if you are considering it to be a tough assignment, I am here to make your power bank purchasing, a hell lot easier, just the way I help you to make the life easier while working with the latest technology and gadgets. Purchasing a power bank for your smartphone require you to look at a number of points if you want the best performance out of it, and don’t want to regret purchasing it later on. So without further ado, let’s get started this power bank purchasing guide to know points you should look into. It goes without saying, purchasing genuine products are really important. Power banks are very common nowadays, and you can even see them being sold in railway stations, bus depots, and other public places. You might get a great deal by purchasing your power bank from those places, but you might end up burning your digital pet in the worst case. The power banks might come with high battery capacity ratings to allure you, and even if that is right, they come with cheap internal components. To cut the corners, most of such power banks do not come with overcharge protection and similar other safety features, not having which is enough to harm your device. 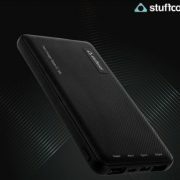 But if you are purchasing your power bank from a proper outlet or a reputed e-commerce site, just relax. Battery capacity is undoubtedly the most important thing while choosing a power bank, and it goes without saying, you should never ignore the battery capacity while spending your pennies for a power bank. But never expect the power bank to invest its 100% capacity to charge your devices. No machines are 100% efficient, which means, a little amount of power will always be wasted while charging your device. With time, the efficiency will also decrease, and you should be prepared for it. Talking about battery capacity, always try to get a power bank that comes with at least 3 times the capacity of your device’s battery. For example, if you are having a smartphone with a 3,000 mAh battery, getting a 9,000 mAh or a 10,000 mAh battery will be the perfect one for you. This can help you to charge your device at least 2 times completely on a single charge, under ideal consequences. If your power bank is doing maximum justice to you, it can even charge it close to 3 times, at least in the first few months, and 50-60% after that. This one is yet another important point, most users overlook, just for getting a lucrative battery capacity. Better the output power or Amperage faster will be the charging speeds (both output and input). Most budget power banks have the ability to provide an output or get input current of 1 or 2 Ampere at 5 Volts, which isn’t capable of charging your device very fast. If your smartphone supports quick charging as well, such power banks will be incompetent to take advantage of that. 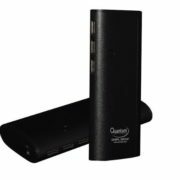 There are some power banks, which comes with higher output power ratings, and if not that, one USB port can be used to fast charge a device. Such power banks are worth purchasing if you have a smartphone that supports fast charging. Power banks with higher amperage might not be available at budgets, but it is worth paying a few extra pennies to enjoy faster charging. Power banks boxes generally come with a single USB cable that can be used to charge other devices and the power bank as well. But the box doesn’t contain a power brick in most cases. If you are having multiple devices and is running out of power adapters, you can charge both the power bank and your available devices simultaneously using pass-through charging. Without pass-through charging, you will have to charge the devices and power bank separately. Though most power banks available today, and even the budget ones come with support for pass-through charging, it is better that you go through the datasheet, or the features, lest you regret later. Just connect the power bank to a power outlet and your devices to the power bank over-night. All your devices, along with the power bank will be charged simultaneously. This is somewhat important for users, who own multiple smartphones, tablets and earphones. Most budget power banks today come with at least 2 output ports, or even 3. But if you are looking for more output ports, your choices are limited. But even if you are having a power bank with multiple output ports, charging multiple devices at once will take longer time, as the output power will be roughly divided among all the devices that are drawing power from it. But just in case you need to charge two smartphones and your wearable, or one smartphone, one wearable and one Bluetooth device, at the same time, having multiple output ports will be beneficial for you. In simple words, you can take advantage of multiple ports, if you are having several devices that draw less power compared to that of smartphones or tablets. Having multiple ports can also be useful if you want to connect some kind of USB addon like USB light, fan, speaker, etc. The requirement of extra features and functionalities is solely dependent on how you want to use the power bank. For example, if you go out trekking often, you might need a power bank that comes with a flashlight or other add-ons like, a watch, or something else. If your smartphone support wireless charging, you can find a handful of power banks that support wireless charging, apart from normal charging through regular USB ports. There are even some power banks that come with beautiful designs and some even come with the shape of emojis, which can also spice up your desk apart from its regular functionality of charging your smartphones. So, only pay for the additional features that you want in the power bank to get the best value for money. There are other small points, as well, which you should look into like, the size and budget. 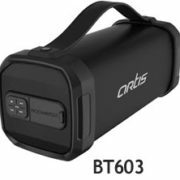 If you have a backpack and do not have a problem carrying a big power bank, go for it, as the bigger power banks have higher capacities, good heat dissipation, which eventually offer a decent to good charging performance. Your budget is always the constraint, and whatever may your budget be, just get the best one that you can get within it. Power banks are really useful gadgets these days and having one in your office or travel bag can help you charge the devices often as smartphones are something, we can hardly live without, these days. Hope you will no longer face troubles purchasing a power bank now. Do you have anything else to say? Feel free to comment it down below.